There are so many amazing things to do in Acadia National Park it is hard to fit all of them in one list. 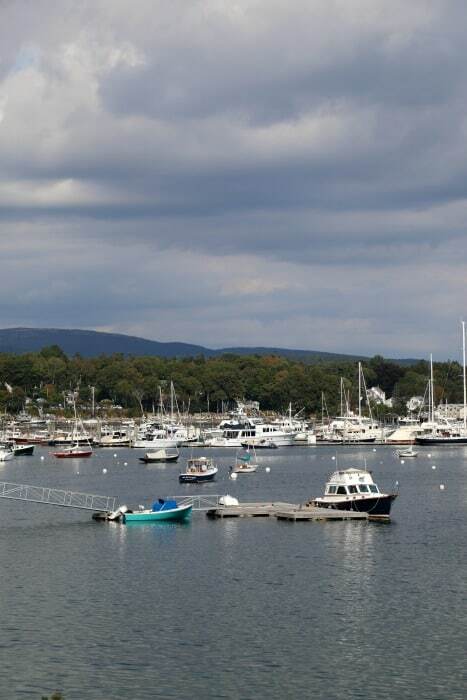 Today we are excited to share our favorite ways to spend a day in Acadia! The 27-mile Park Loop Road near the Hulls Cove Visitor Center. The majority of the Park Loop Road is a one-way road that leads you to amazing highlights within Acadia NP. The scenic park loop is open from April 15 through November, 24 hours a day, weather permitting (small portions remain open all year). 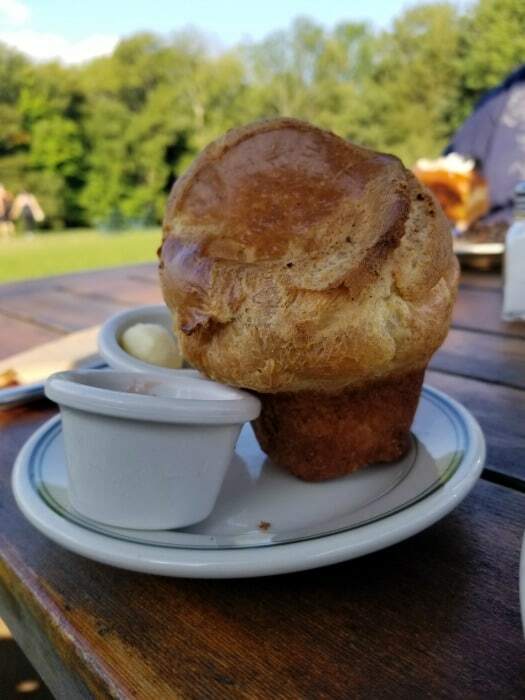 Jordan Pond House is world-famous for their popovers. These puff pastries are served with fresh jam and butter. You won’t believe how amazing the view is from the lawn in front of the Jordan Pond House. This restaurant fills up quickly so make sure and call to get your name on the list. From 11 am – 4 pm Parking at Jordan Pond House is limited. Seeing Acadia NP by boat is a great way to get a scope of just how big and amazing Acadia is. 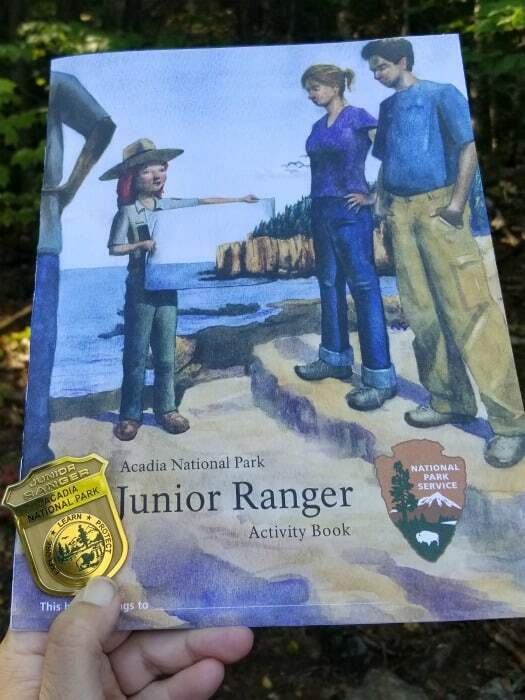 The Acadia National Park Junior Ranger program can be picked up at the visitor center. Make sure and pick it up at the beginning of your visit so you have time to complete all the activities. The program does ask you to take a boat ride, a tour or visit specific areas of the park or you can interview an Acadia NP Park Ranger. If you do not have time to complete all of the activities just talk to the park rangers at the visitor center and show them what you were able to complete. Cadillac Mountain stands at 1,530 feet above sea level. Cadillac Mountain is the tallest mountain on the Eastern Seaboard. Sunrise and sunset are popular times to visit Cadillac Mountain. Make sure you are prepared for the crowds and give yourself extra time to find a parking spot. The Carriage Roads in Acadia NP are a 57-mile long network of paved paths created and funded by John D. Rockefeller Jr. from 1913 to 1940. 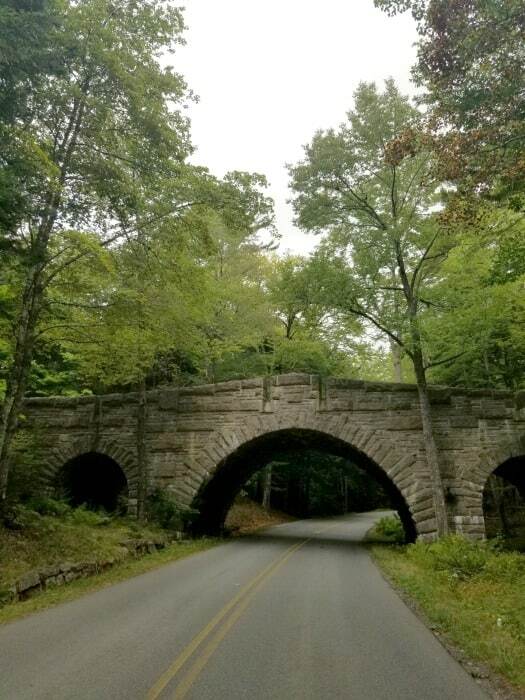 You can explore the carriage roads on a tour, on a bike, or by walking. Bass Harbor Head Light is an iconic view in Acadia Np. One thing to know if there are quite a few stairs and a hike to get the best shots for photos. Make sure you have shoes that you can climb on rocks with. 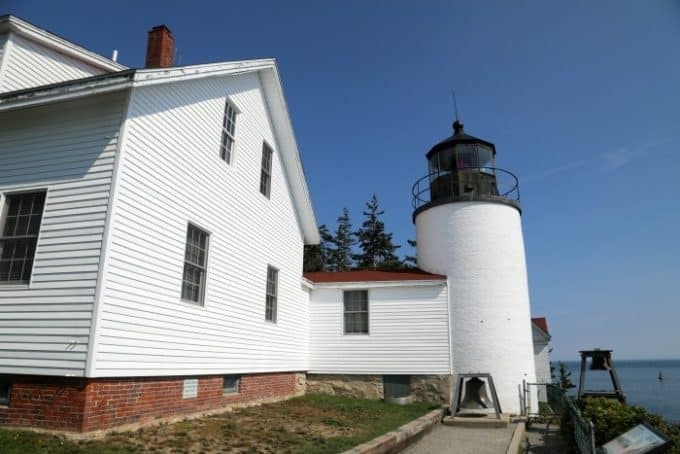 Bass Harbor Head Light is the only lighthouse on Mount Desert Island. The lighthouse is operated and maintained by the Coast Guard. 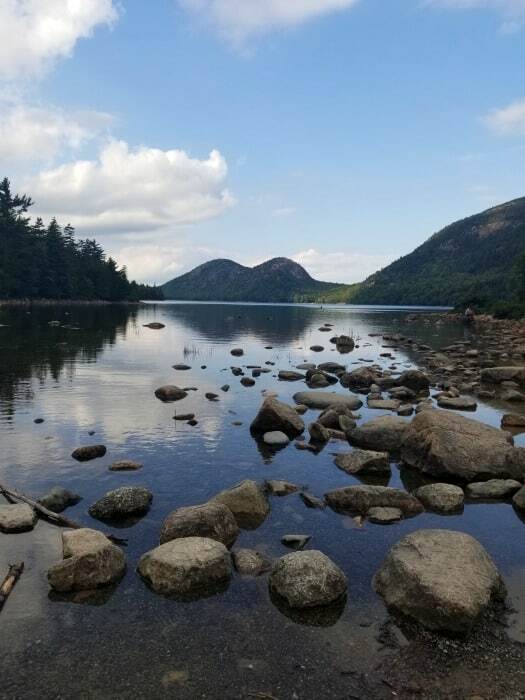 Jordan Pond trail is an easy walk for the entire family around one of the most scenic areas of Acadia National Park. The trail is the perfect way to walk off a popover or two after tea. 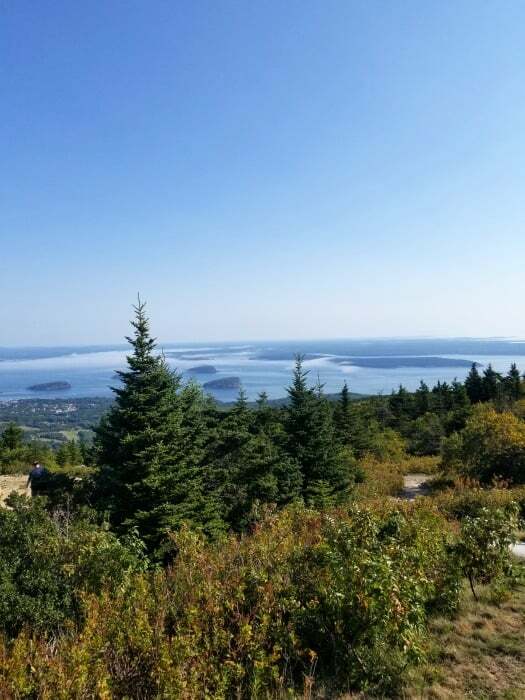 This is just a glimpse of all the things to do in Acadia National Park! Make sure and give yourself a minimum of a few days to explore the park. Trying to fit it all into one day in the park can make for a super crazy overwhelming day. Check out all of our posts on Acadia National Park!